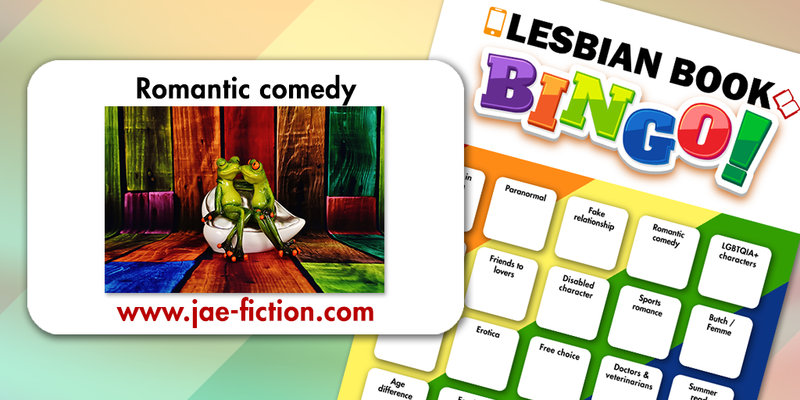 Since more than half of the year is over, many readers are slowly starting to complete their Lesbian Book Bingo cards and asking me for recommendations for squares they haven’t yet filled. One of the categories that I get asked for recommendations most often is romantic comedy. Rom-com novels are pretty popular with many readers. Every once in a while, it’s just nice to get a change of pace from all the heartache and angst and to read a novel that will make you laugh out loud. I’ve put together a list of 15 must-read romantic comedies that will tickle your funny bone. On a wasted trip to New York, a snowstorm, and a canceled flight home that puts Jorie Andolini in the path of Lena Vaughn. Travel the road to happiness with Jorie and Lena. Two crazy old women, meddling friends, and cattitude are just some sights you’ll see along the way in this hilarious romantic comedy. Wedding planner Lauren Hilliard weaves fairytales out of possibilities. It’s her business and she’s good at it. 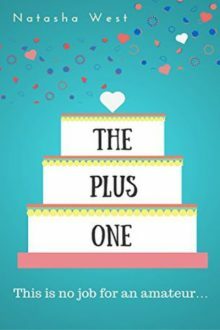 Her brides love her for making their dreams come true but she’s not managed to make the magic happen for herself – yet. Trouble is, Lauren’s in love with her best friend and has been for eleven hopeless years. But what if the feelings are mutual? Ollie and Claire fell head over heels in love, drove to Iowa and got married. One year later they realized they’d made a big mistake. But in order to get divorced they have to drive back to Iowa and live together for three months before the judge will grant them a divorce. Can Ollie and Claire fall back in love? Can their love survive a divorce? Sleeping with the enemy has never been so complicated. Twenty-eight-year-old Brooklyn Campbell is having a bad day. A speeding ticket, a towed car, and a broken heel are all working against her laid-back vibe. To top it all off, her birth mother, whom she’s never met, has requested contact. The only bright spot is an impromptu date with a beautiful and mysterious brunette. The last person Ashley Baldwin expected to see when she walked into Ridgeview Animal Clinic was the gorgeous ex-love-of-her-life, Peyton Maxwell. 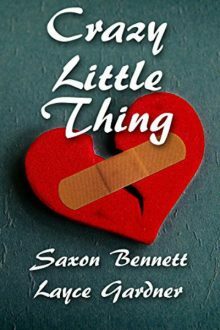 Their break-up in college had been an explosive one, and now, some twelve years later, Ashley was still picking up the pieces of her broken heart. As a journalist, Vega spends her days writing other people’s stories. For her latest assignment, she’s taking down LGBT love stories and worrying that her eyes might roll right out of their sockets during every mushy interview. 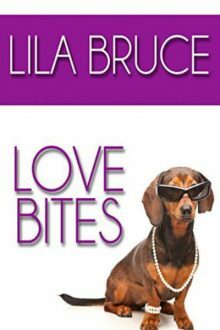 Only the help of her new friend, Iris, who also believes romance stories are worth mocking, prevents her from finding ways to make her subjects mysteriously disappear to save her from having to listen to more clichés. 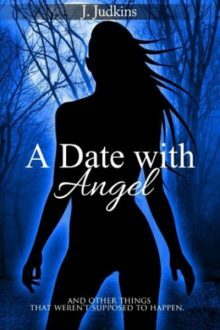 Kim’s ordinary life became complicated when she met Angel, a woman she immediately identified as an alien attempting to pass for human. She did what any other science fiction geek would do and invited her home. 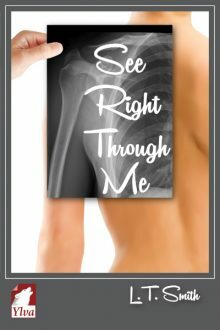 After a disastrous breakup, Skylar Cassidy finds meeting women daunting and doesn’t want to go through it again. 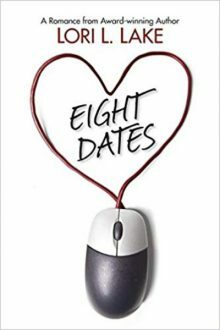 But when her best pal and business partner Mitchell signs her up at the GirlsGaylore.com dating website and characterizes her as a happy-go-lucky, amorous, risk-taking single, all hell breaks loose. Suddenly, women are coming out of the woodwork and Sky hardly knows what to make of it. 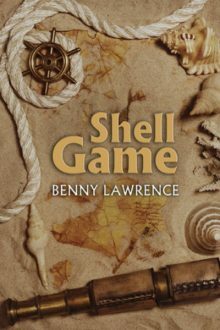 Life in a remote fishing village in the middle of a civil war is neither safe nor inspiring. So when an opportunity comes along for village girl Lynn to be kidnapped by a ruthless pirate queen, she takes full advantage of it. But Darren is neither as ruthless nor as piratical as she appears–and Lynn’s not exactly what she seems to be, either. In between encounters with old girlfriends, a slow death involving marmalade, and bounty hunters with no sense of humor, Lynn and her new mistress attempt to work out exactly what they are to each other–and who’s in charge. Jane Swallow has always struggled to keep peace, friendship, and equanimity within the community she loves, but this year everything is wrong. Her father has just been released from prison and is on his way to Lesser Wallop with the rest of her travelling family. Her job is on the line, and her ex-girlfriend has just moved in next door. Only a miracle can save her. Jill Fryman (Friday to her friends) is a Line Supervisor at a truck manufacturing plant in a small Indiana town; and life on the assembly line is almost as predictable as her love life. When it comes to matters of the heart, Friday always seems to be making the wrong choices. Things go from bad to worse when El, a sultry labor organizer from the UAW, sweeps into town to unionize the plant after it’s been bought out by a Japanese firm. 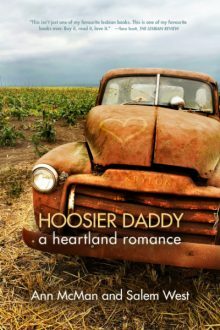 Sparks fly on and off the line as Jill and El fight their growing attraction for each other against a backdrop of monster trucks, fried catfish dinners, Pork Day USA, and a small-town bar called Hoosier Daddy. When Hollywood-bound actress Violet London meets speakeasy singer Moxie Valette, her trip takes an unexpected turn toward love. New York City, 1931: When wry Broadway actress Violet London and her hard-drinking cohorts venture into a speakeasy the night before she is to board a train for Hollywood, she is floored by sassy blond singer Moxie Valette. Schoolteacher Gemma Hughes is an ordinary woman. Disorganised and clumsy, she soon finds herself in the capable hands of the beautiful Dr Maria Moran. Everything goes wonderfully until Gemma starts doubting Maria’s intentions. But has Maria something to hide? Can Gemma stop her actions? Or will she ruin the best thing to happen in her life? Given her track record, anything is possible. Parker Englewood is a respected professor of philosophy at the University of Chicago. All she wanted one night was dinner at her favorite restaurant, then a quiet weekend. And what did she get? The madcap Charlotte Darcy on a platter with a side of screwball chaos. If you haven’t done so already, download your bingo card, pick the book you want to read for the romantic comedy square, and start reading! Remember that you can either read one of the 15 books listed above or pick another f/f rom-com novel. Anyone can enter. To be entered into the drawing, leave a comment on this blog and let us know which book you’re going to read for the “romantic comedy” square or if you can think of other lesbian books that fit this category. Entries close on Thursday, August 9, 2018, 10 a.m. CET, when I’ll draw the winners using a random numbers generator. I’ll notify winners via email. Your email address won’t be used for any other purpose. The reading list for the next bingo square will be posted on August 16. Subscribe to my blog so you won’t miss it. There’ll be another giveaway too! Oh Gosh !!! I love the frogs in the pic, they make me laugh. 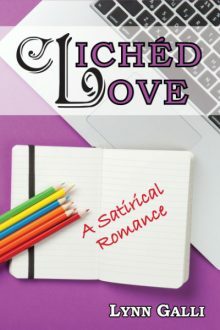 I will go with Cliched Love by Lynn Galli. Thanks for the chance to win a book! Wow, I’ve read nearly all of these before now. But I did download Hoosier Daddy in Audible for listening to soon. A few purchases and I will have read all 15 recommendations. This is one of my favourite categories. I read The Plus One for this category. This list’s just the thing when I’m swamped under work. Can’t go wrong with Robin Alexander! I am reading her latest, Temporary Girl. As usual, her book has provided many laugh out loud moments. 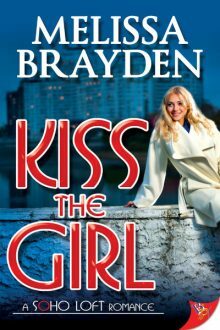 I have Kiss the Girl lined up in my Audible library. So I’ll probably listen to that for this square. The Plus One looks so cute! These are great recommendations! I’ve not even heard of anything on this list. I think I’d like to read Cliched Love. I’m gonna look for it on Amazon. This is my final square so I am very excited to be almost done. Very exciting! Enjoy the book for your last square! Jae, none of the three links to Gill’s “Welcome to the Wallops” work for those of us in the US. I’m so sorry, Joan! It seems “Welcome to the Wallops” has recently become unavailable. I had no idea! Seduction of Moxie is hilarious. I’ve just started to read The Plus One. I would definitely add Promises,Promises by L-J Baker. Date with an angel was pretty funny also. I will read Crazy little thing. Great list! I haven’t read many of these so now I have a lot of choices. I did Lynn Galli’s Cliched Love for this one but I think Andrea Bramhall’s Just My Luck qualifies as well. They’re both great as are Gill Mcknight’s Wallops series for comedy. Another great list Jae! I read Yvonne Heidt- Meet Me in the Middle, loved the dogs 🤓; Lynn Galli – Cliched Love; Colette Moody – The Sublime and Spirited Voyage of Original Sin. Think I’ll read Moody’s Parties in Congress next. Seduction of Moxie was very good but I liked her other two better. There are several on your list I need to look into. I read Under a Falling Star by Jae for this one. I didn’t realize it was a comedy until I was actually reading it and I found myself laughing out loud. I Loved this book and I highly recommend it! Wow! I never really thought of “Under a Falling Star” as a romantic comedy, but you might be right. If I compare it to some of the other books on the list, it could be categorized as such. Same with my newest romance, Just for Show. I know some people have called it a romantic comedy. I read Fearless by Robin Alexander for the bingo square but also enjoyed A Fairytail of Possibilities that is mentioned in above list. After those I can’t seem to make a decision for Clare Ashton, it will either be The Goodmans or That Certain Something. 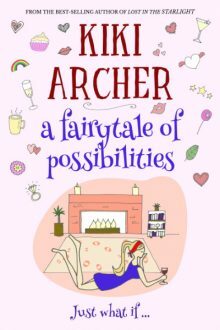 But A fairytale of Possibilities by Kiki Archer sounds fun as well.. All the choices!!! And I will of course keep an eye out for any other great suggestions! I have put The Curvy Side of Life by Suzie Carr in this square. You can not go wrong with the list here, Kiki Archer is a fav of mine!!! For this square I read Kellens Moment by Robin Alexander. 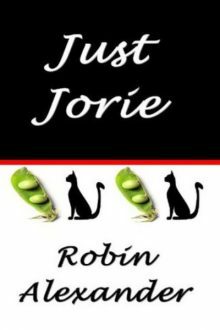 If you want to read funny stories that make you laugh out loud, you can’t really go wrong with Robin Alexander. So many great books! I’m going with Welcome to the Wallops by Gill McKnight. Happy Reading! 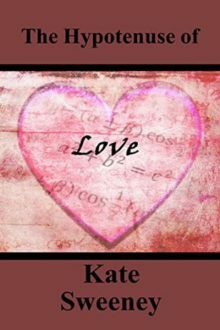 As a math teacher I go for “ The Hypotenuse of love” by Kate Sweeney. This is becoming a habit! Another book I bought but fell through a crack on my kindle! Crazy little thing this time but some faves on this list! I read a e radleys huntress for this square but will be trying some of the others soon. Okay, I have read none of these. Guess I don’t really go for the comedy. I read Great Bones by Lynn Ames for this square. It was cute. I’ve read most of these. This is a fantastic list! When it comes to romantic comedies, Robin Alexander never lets me down, so I’m reading her latest, “Temporary Girl.” However, anything written by Melissa Brayden tends to make me laugh out loud as well. I also love “Miss-Match” by A.C. Henley and Erica Lawson, and “Midnight in Orlando” by Amy Dawson Robertson. L.T. Smith hands down. All of them. She has a lot of unpublished work too that is amazing. They should be published. I read Demons Shemons by KB Draper. The sequel was also as funny.